Open the borders or regional resettlement? The death of Malcolm Fraser in March has brought renewed attention to the policies of his government regarding asylum seekers. Understandably, many people see a sharp distinction between Fraser resettling nearly 70,000 Vietnamese refugees between 1976 and 1982, and the policies of both major political parties today that are focused on keeping asylum seekers out of Australia at all costs. Nothing demonstrates the rosy view of Fraser more than the fact that the foreword to Labor for Refugees’ 2013 publication “Alternatives To Offshore Processing” was written by Malcolm Fraser. But the refugees that Fraser resettled were not boat people who arrived on Australia’s shores. They had been selected from squalid, over-crowded and often violent refugee camps in Malaysia, Indonesia and other places, not so different to Nauru and Manus Island. Fraser settled less than 2500 asylum seekers who arrived by boat. While none of them were subjected to mandatory detention it was the concern to prevent larger numbers of boat arrivals that drove Fraser’s resettlement program. Rather than a challenge to the policies of Labor and Liberal today, Fraser’s policy actually helped to establish government opposition to boat arrivals. It laid the basis for distinguishing between “good” asylum seekers who stayed (or were compelled to stay) in camps to await possible selection and “bad” asylum seekers who arrived on Australia’s shores by boat. 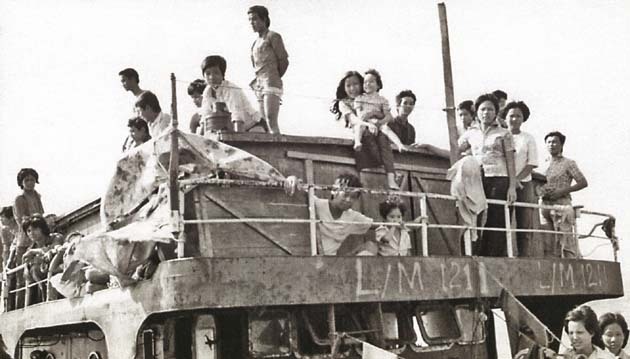 The Fraser government was so concerned to prevent boat arrivals in Australia that, in the run up to the federal election in December 1977, immigration officers actively sabotaged asylum boats in Malaysia. They drilled holes in the hulls to prevent boats travelling on to Australia. Fraser’s Minister for Transport, Peter Nixon, even raised the possibility that boat arrivals could be refused entry to Australia. Fraser also implemented the first people smuggling laws to discriminate against asylum seekers who may have paid to organise travel to Australia. In early 1981, Fraser actually used his Immigration (Unauthorised Arrivals) Act to detain and deport all of those who arrived in Darwin on the VT838, in large part because they ignored UNHCR’s “suggestion” to stay in Malaysia. These facts are not well known or understood and sections of the refugee movement now use the Fraser era to advocate for one version, or another, of regional resettlement of asylum seekers. It has become commonplace to pose “regional resettlement” as an alternative to welcoming asylum seekers who arrive by boat. But such ideas concede to present day offshore processing policies and Abbott’s policy of boat turn-backs. Perhaps the clearest example is a 2014 discussion paper by the think tank Australia21, which suggests that an alternative policy should be designed to, “achieve an orderly system of protection within the region and defeat the people smuggling system”. This is little different to what underpins the present policy. “Defeating people smuggling” is the language of Rudd, Gillard and Abbott, used to deflect attention from asylum seekers’ human rights and to criminalise and discriminate against those who arrive by boat. The “Beyond the Boats” report by the Centre for Policy Development also accepts the government’s arguments about “border control” and people smuggling, arguing that one of Australia’s goals should be, “to retain appropriate order and control over the immigration program by tackling the problem of people smuggling”, as if asylum seekers have any other way to get to Australia except by using boats organised by people smugglers. This simply accepts the idea, originally put in place by Fraser and repeated ever since, that there is a problem with boat arrivals and that boats should be stopped. A “welcome refugees” policy has to be a policy that welcomes asylum boats. Fraser’s regional processing policies transplanted to today would end up discriminating against boat arrivals and accepting that asylum seekers should be processed in detention offshore. The refugee campaign should not accept anything less than the end of offshore processing and the immediate closure of Nauru and Manus Island. Asylum seekers processed in Indonesia and found to be refugees must be guaranteed timely resettlement in Australia. This is going to become more important as the prospect of getting rid of the Abbott government comes closer in the coming months. In the run-up to the federal Labor Conference in July, more attention will be focused on what alternative the movement is fighting for. Successive governments have closed Australia’s borders to asylum seekers. Without a demand to unequivocally “open the borders”, regional processing simply perpetuates the rotten political pillars that underpin the present policies of both major parties.